We understand that when it comes to doing anything in your home, from simple decoration to a full revamp of a room, it’s important to keep you in mind. That’s why we involve you every step of the way. We want to make sure you feel as comfortable as possible and never feel pressured into buying something you’re not 100% happy with. At Decorland, we come to visit you, get a feel for what you are looking to do, which is a good opportunity to bounce ideas off one another, to come up with the best plan that is going to look great, but also work for you. We then make a 3D image design that we think will work best for you and invite you into our showroom to look for your dream kitchen, bathroom or bedroom. With a vast range of kitchen doors, worktops, tiles and appliances, a great choice for showers, baths, vanity units and pottery, and a stunning bedroom selection there will be something here for everyone. Once you are 100% satisfied with everything we will arrange for our fully qualified, skilled tradesmen to remove your old one and install your new kitchen, bathroom or bedroom. 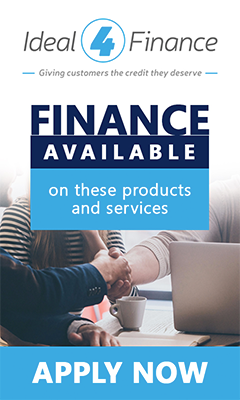 DECORLAND NOW OFFERS FINANCE ON OUR PRODUCTS AND SERVICES. CLICK THE BANNER TO FIND OUT MORE.